Camp started this week, and every morning is a blur. My husband and I take turns working out, and whoever is not exercising or getting dressed is getting the kids ready. Lunchboxes are packed, bathing suits put on, sunscreen slathered into every crevice, and then there is so much more to remember. Is it pizza day? Did we sign a permission slip to let our son go on a boat? For our daughter to ride a pony? Now that I’m on a teaching hiatus, I’m actually less efficient. Routines make me work harder and better. Not that I’m complaining. Summer is kind of cool. But when I’m running around in the morning like a nutter butter, I need to have some quick baking projects. This is one of them. 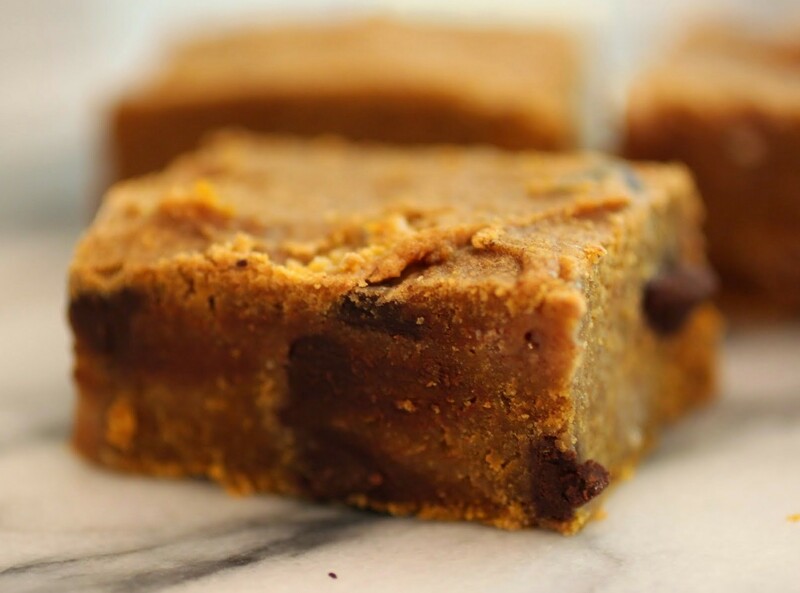 When I was really little, my mom used to bake peanut butter bars. My mom will be the first to admit that she’s not a baker. She bakes really well when she decides to do it, but it’s not her passion. So when I pressed her about the bars, she told me that it was just peanut butter cookie mix spread out in a pan. Who cares? I loved it. Believe me, I spend plenty of time making peanut butter cookie dough. But sometimes a shortcut is needed, so that’s what these bars are. 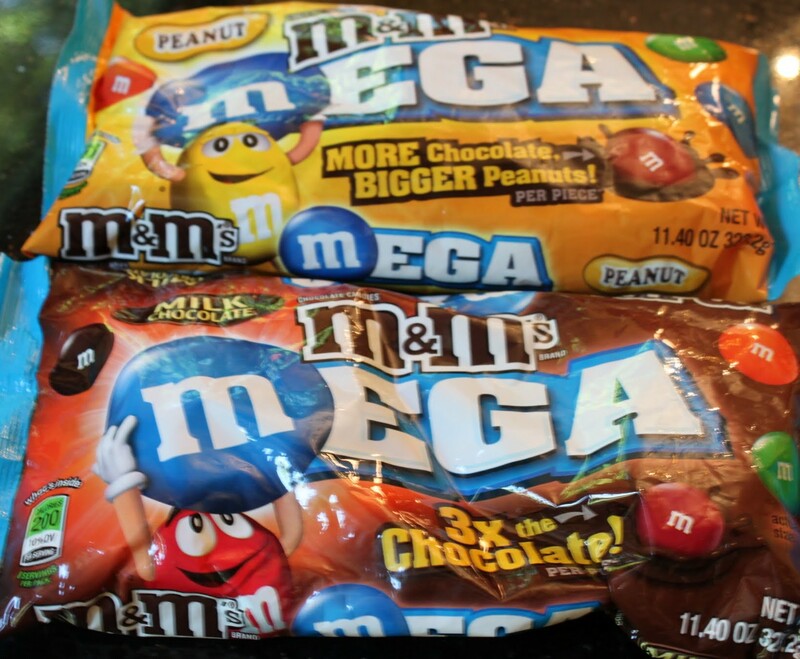 And I worked in those Mega M & Ms in two different flavors (peanut and plain) to make the bars a li’l bit sexier! Oh, and added a nice layer of milk chocolate on top. With more M & Ms. Never hurts, does it? 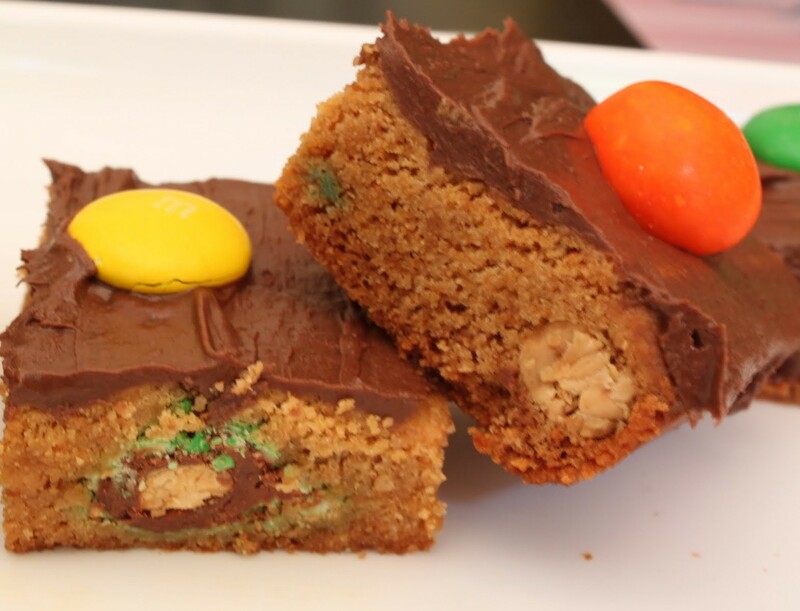 These bars are fun, addictive, and take a few seconds to make. Literally. You mix up the dough in a bowl and dump in the candy. That’s all, folks! 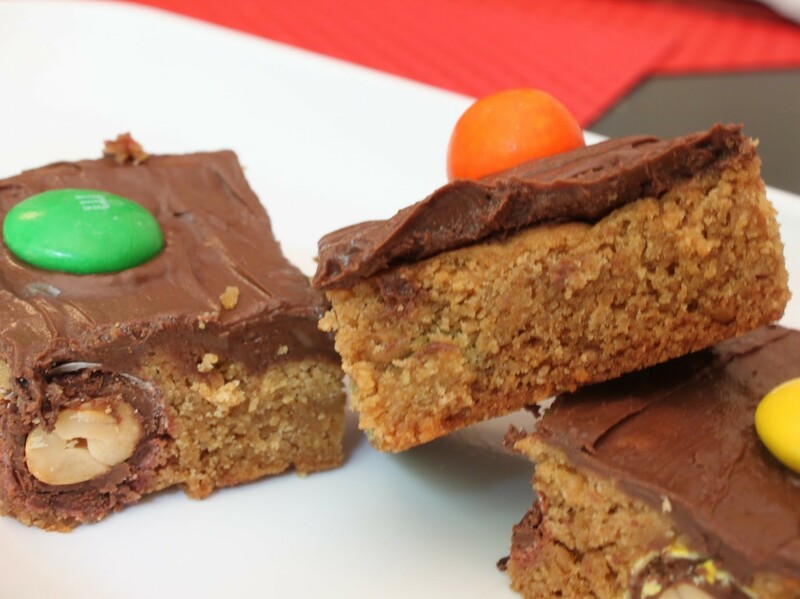 When you’re done, you have nice thick peanut butter bars full of those ginormous M & Ms. It’s hard to eat one of these. You’ll be eating a few. Just be warned. Have two minutes? Make these! On your mark, get set, go! 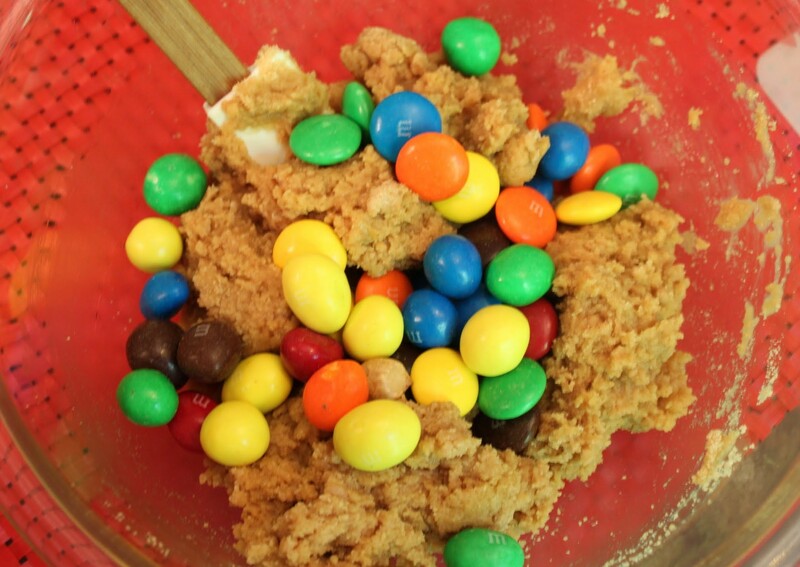 In a bowl, combine the peanut butter cookie mix ingredients and stir until the dough forms. 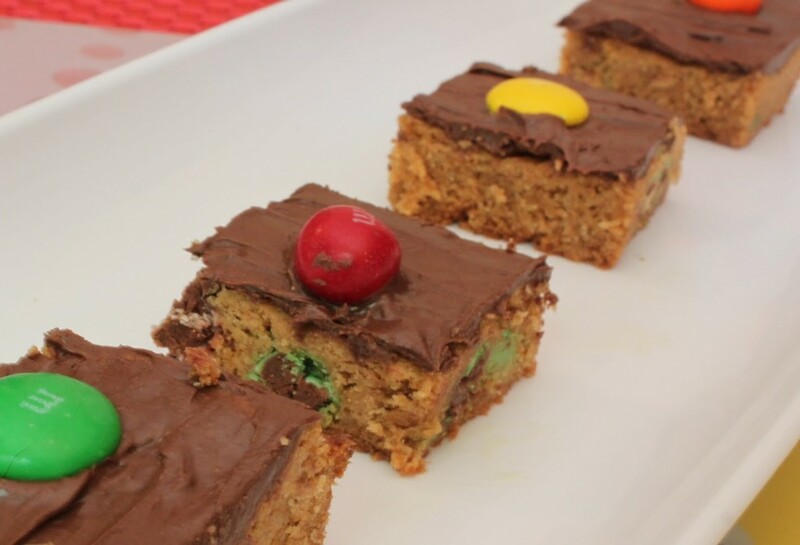 Mix in both kinds of M & Ms, saving a few for garnishing on top. Press the dough into the prepared pan. Bake for 25 minutes. 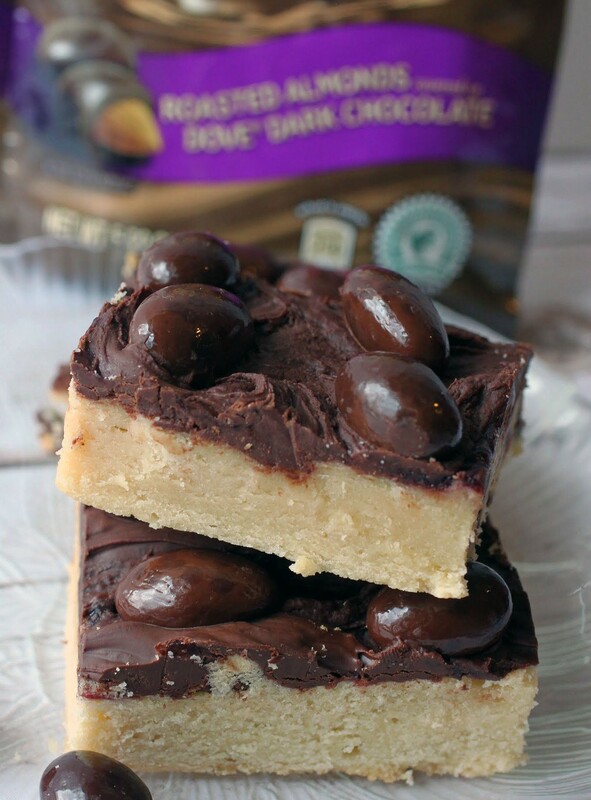 Remove from the oven and sprinkle with the chocolate chips. Wait five minutes and spread the chocolate chips over the bars evenly. 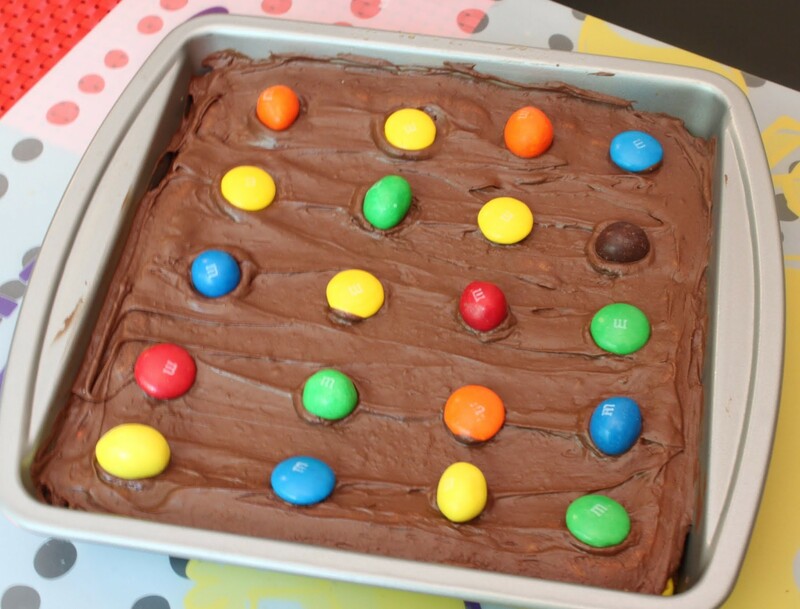 Press more M & Ms into the top for decoration. Cut into squares and store in an airtight container for up to one week. Seriously, they’re food of the gods. They have protein, taste great, and are easily portable. Plus, they’re pretty durable. I have to work really hard to squash an almond. Chocolate-covered almonds are even better, especially when the chocolate is really delicious. DOVE® Roasted Almonds covered in dark chocolate are totally my bag. 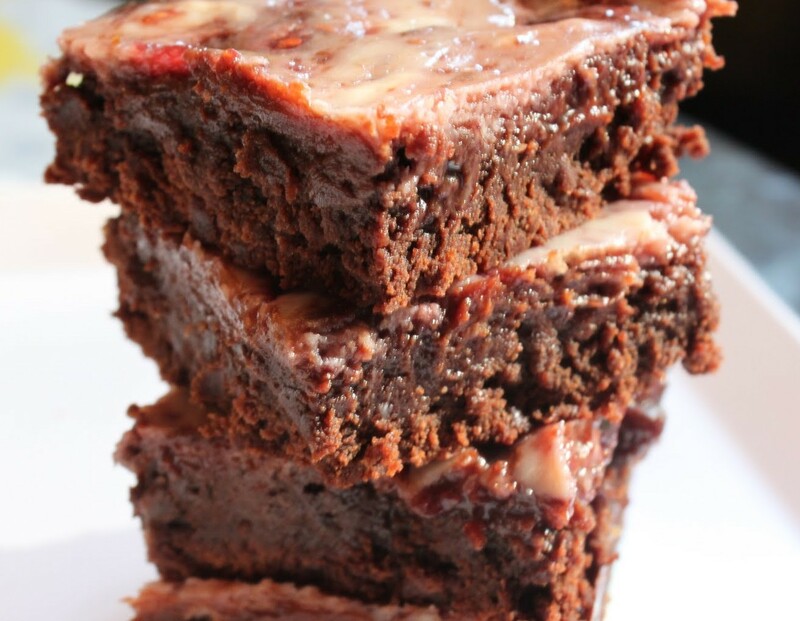 And they’re even more fun when they get incorporated into these chocolate almond raspberry bars! Today I took my kids to a splash playground. It sounded like a good idea at the time. But several hours and one indecent exposure later, I’m not so sure. Ah, kids. Can’t live with them. But I sure can’t live without them. I’m so glad you stuck with what you remembered! Sometimes, it is easy to go, oh they made it with a mix, I can do it homemade. Nope, it is never the same … speaking from experience 😉 Peanut butter is amazing, I love how it is packed into these bars! And those MnMs … a bag of those (and a pan of these!) wouldn’t stand a chance! Thanks for sharing Mir! You are so wise! And sometimes doctoring a mix is the best way to go! I totally agree with everything you said! PB and chocolate could broker world peace!